Did the Mountain West Conference rip off &apos;Doctor Who&apos; for its new logo? The new Mountain West logo on the left, and the Doctor Who logo on the right. Did the folks at the Mountain West Conference spend months and months coming up with their new logo, which they&apos;re calling (I kid you not) "the rock"? Or did they sit down on a Saturday night and watch BBC America? 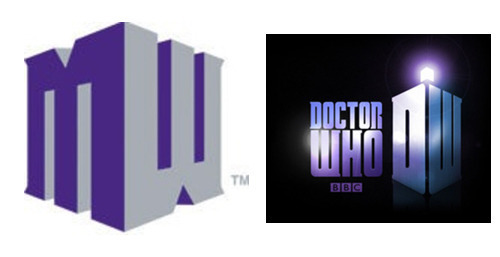 The new MWC logo looks an awful lot like the current "Doctor Who" logo. An awful lot.